Those who know don’t Heath well, know him as a great TV personality and outdoorsman. Those who do know him well, know that he is a man of God, an exemplary husband, father, and leader in the community. 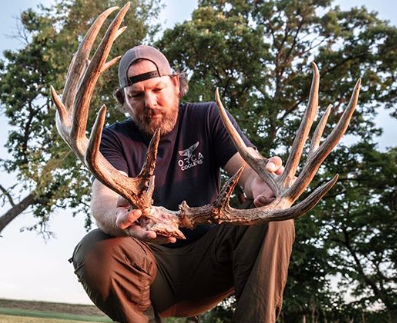 Heath grew up deer hunting with his father in Arkansas, but he left the woods to pursue a college football scholarship at Arkansas Tech University. As a fullback, he served his team well until suffering a career ending back injury. While unable to play football, Heath fled to the woods of his childhood and awoke his previous passion of hunting whitetails. Sharing his stories in front of a lens was never something that he thought of until he was placed in charge of the student ministry in a small church. Heath wanted to increase participation with the local kids and tried something new by bringing out an old Sony camera to film the students while they were in school. They flocked to the camera, and when the film was shown that following Wednesday night at church, the kids loved it. Seeing the excitement on their faces gave him the motivation to share his hunting experiences through the lens of a camera. 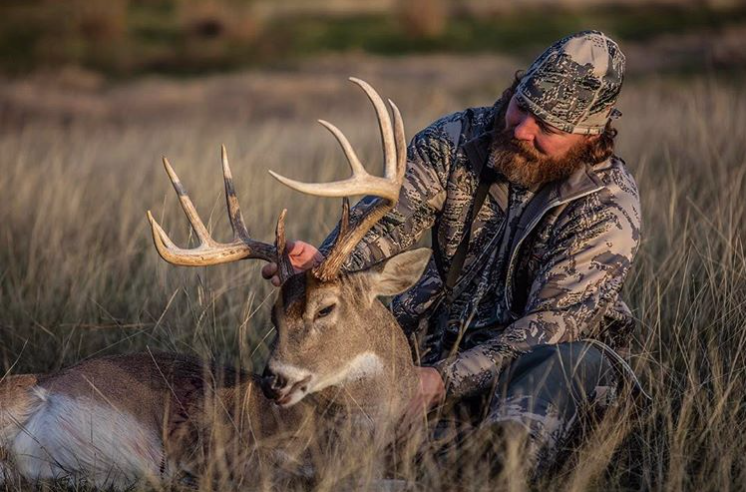 Towards the end, he and his eventual partner Brandon Hunt decided to start Struttinbuck, which has become a top rated hunting show. Great men usually share humility, and Heath Graham is no exception. He doesn’t think that he is an exceptional hunter, and attributes most of his success to Brandon Hunt and Matt Cowell (Matt runs the behind the scenes of Struttinbuck). He has a growth mindset and aims to always surround himself with people that are better than him and absorb any information that he thinks could better himself or others. But, as fate would have it, he started killing more deer once the cameras started rolling. Heath could have worked a normal job, had a normal life, and would have had the appearance of being happy. He believes that life is too short not to pursue your true passion, which in his case is adding value to others’ lives in any way that he can. Team SB is heading down to the FE Hill Ranch in Texas for some late season whitetail hunting. He is deeply involved in his local church (New Life Church of Arkansas), and encompasses the definition of a servant leader in his community. He is constantly working to facilitate ministry into the outdoors and add value to other people’s lives in every way. He lives happily in Arkansas with his wife and kids, while owning Southface Media Group and filming Struttinbuck. We are very proud to have Heath as a member of the Waypoint Family, and we look forward to seeing what lies ahead for Struttinbuck. Click HERE to check out Heath's new podcast, Tour 12, available on iTunes. Click HERE to watch StruttinBuck on Waypoint.